- There's is no shortcuts to real estate. It's a business like any other. - Real estate is not that scary. - How to find deals. Look for opportunities all over the place. - How you find them is not as important as what you do with it when you find it. - You need to know the values in your area before you can assess a property. - Be transparent, when you try to hide things you will get in trouble. - How to find buyers to assign your contracts to. 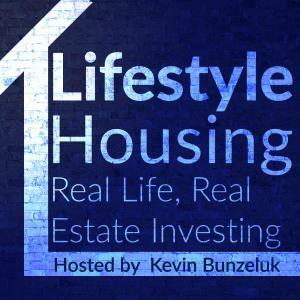 Ben Muresan, aka, “Humble Wholesaler”, has been a Canadian Real Estate Investor for 12 years. In his early 20’s Ben spent money on every Real Estate course/training that was available. Leaving University early to pursue a cleaning business, Ben always had a passion for understanding Real Estate and business growth. Although he gained plenty of book knowledge, he didn’t take massive action until 2009. During the economic downturn, Ben used the opportunity to “jump in with both feet”. The experience he gained from “hustling” everyday for 10 years, has given him perspective and plenty of “street smarts”. Having completed 118 Real Estate deals, Ben’s focus is on Real Estate Wholesaling and mentoring. Mindset and Purpose have been critical to Ben’s success as a business owner and as a faith-based Christian. He seeks wisdom and relationships that can help him achieve his calling of faithful stewardship. Coming to Canada as an immigrant, Ben’s work ethic has driven him to gain success as an investor. Ben is now the largest private buyer in Windsor, ON. His retail company, Forte Real Estate, is a community focused housing initiative, which makes home ownership affordable for hard-working families. His passion for doing deals and helping people, is fundamental in his Real Estate Wholesaling business. Giving back to his community and church are very important parts of his long-term goals. He loves sharing his passion for business with other investors, and truly aspires to be a mentor who helps students grow, learning from his life lessons. Faith and family are highly important to Ben and he lives by this mindset, “take care of people, and the profit will come”.